Making cut outs can be a VERY time consuming task, complex backgrounds, hair and tiny product details can take hours to cut out. 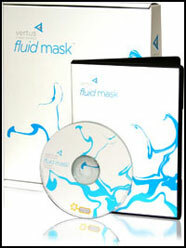 Vertus have released version 2 of their application FluidMask. It's a Photoshop plug-in and it can save you hours/days of hard work. Take a look at the screen shots and video tutorials below! Vertus Software is offering Fluid Mask at the special friends and partners discounted rate of just $189 - PLUS free upgrades for the next 6 months. Get the special deal! Automatically differentiates between hard and soft edges in the blend. It identify edges before you begin masking using the Edge Overlay view. 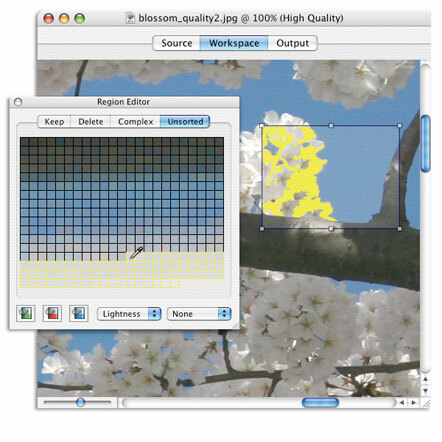 "Click-and-cut" - easily select object for quick masking. Find hard to see edges using the intuitive Edge Detection options. 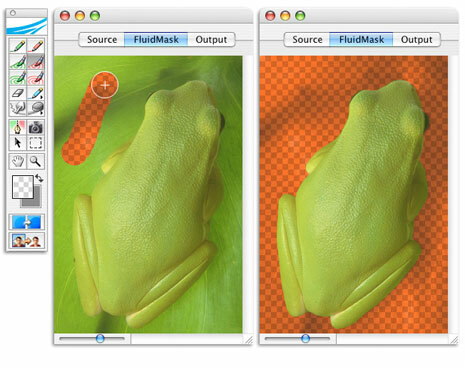 Fine tune mask selections at the pixel level using color palettes. Work in progress is easy to review. Masking and blending are co-synchronous - no double work. 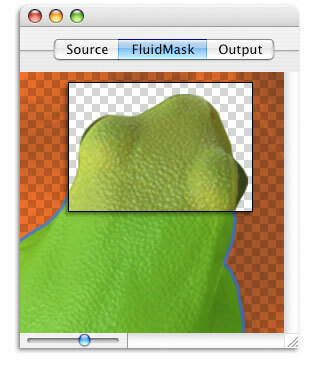 The frog and background are both the same color, notice how well Fluid mask handles the edges! You can render a part of the image to see the result of the masks! This is a quick way to check out if any last minute adjustments need to made. In the "region editor" you have full control over the keep, delete and complex masks. You can manipulate every single color in the image!